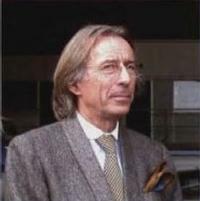 Lionel Poilane, 57, who baked the most famous bread in Paris, died with his wife in October2002 while attempting to land his Agusta 109 in dense fog near his home off the Breton coast. He began his career at 14 as an apprentice to this father who owned just one Poilane bakery in Paris. After inheriting the business from his father, he turned it into a multibillion-dollar empire. The bakery today produces thick, chewy round loaves made of stoned-milled wheat flour in 16th century ovens. The company sells 15000 loaves each day to customers around the world. While making bread was his business, his love was helicopters. Mr Poilane served as President of the French Helicopter Pilots Association since its creation in 1981. He was a founder of the European Helicopter Association(EHA). His efforts to promote civil applications were unparalleled in the world helicopter community. At his direction, GFH published, "Un heliport .....I'helicopter, pour quoi faire?," a reference on helicopter applications and infrastructure. During Mr.Poilane's tenure, the GFH assisted in revising JAROPS 3 (helicopter operations) and JAROPS 4 (aerial work). It also promoted the use of flight simulation as a training tool, and encouraged the use of satellite navigation technologies; and developed specialized rules for the use of helicopters for nighttime and IFR operations.